Medium Rye Flour in a bulk 50 pound bag. Honeyville's Medium Rye Flour is milled from selected stocks of thoroughly cleaned and tempered premium grade rye grain. 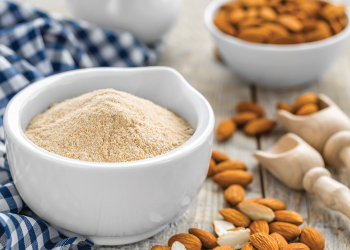 It contains less gluten (protein) than all-purpose or whole-wheat flour. For that reason, it won't produce a well-risen loaf of bread without the addition of some higher-protein flour. Rye flour is also heavier and darker in color than most other flours, which in turn produces dense loaves. There are several different types of rye flour, the most common of which is medium rye flour. Honeyville Medium Rye Flour is an ideal product for your baking needs. Shelf-Life: Medium Rye Flour will store for 1 year in a sealed 50 pound bag under ideal storage conditions (cool, dry place). Uses: Medium Rye Flour is used to make breads, pumpernickel and any recipe where a high quality dark flour is required. 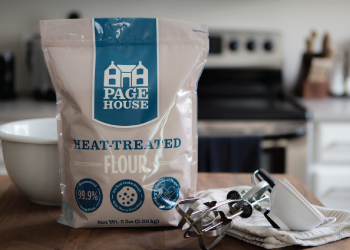 Packaging: Medium Rye Flour in bulk is available in a 50 pound bag. Packaging may vary.